Has been in the family for as long as I can remember! 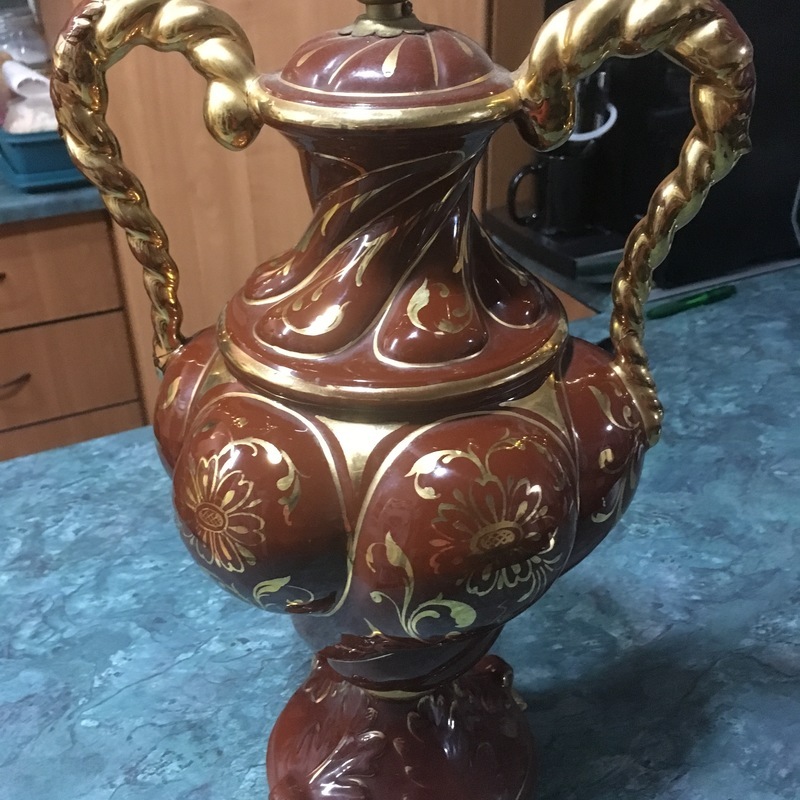 Italian brown glazed and parcel gilt covered two-handled vessel, 20th Century, now converted to a lamp base, with indistinct overglaze gilt mark. Please let us know if you have other items to appraise, and thank you for using Mearto.